We’ve received the following message from Adam Hunt on behalf of the Chipping Norton Town Football Club. We’re featuring it here because the paper edition won’t be out until just before the meeting and we wanted to give as much notice as possible. As many of you are aware, there’s recently been a BBC Panorama Investigation into the involvements of Mr Glyn Jones and his associated organisations regarding Chipping Norton Town Football Club / Chipping Norton Town Football Supporters Social Club. The newly formed committee of Chipping Norton Town Football Club held a public/town meeting on the 15 February 2017, since when the club/committee have continually been investigating and working with other organisations/clubs regarding this matter. We apologise for not being more open and transparent with the local community regarding our investigation and findings but as you can imagine we needed to wait until the BBC Panorama documentary had been aired. We now propose to hold an additional public meeting to openly detail our current situation and options going forward. This is a public meeting, open to all and shall not be filmed. Feel free to pass on this information. Please note: this is no specific agenda other than to openly discuss what we understand has occurred and what options this leaves us with going forward! The club would also like to take this opportunity to sincerely thank the local residents and community for all of their support regarding our cumbersome and complex situation. For those of you whom haven’t yet seen the BBC Panorama Documentary please follow the link below. If you would also like to contact the club directly, please feel free to do via the following email address: adam.hunt99@live.com. 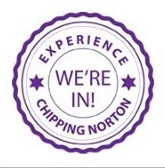 Please excuse my ignorance but I don’t live in Chipping Norton. According to the Panorama Documentary, Chipping Norton football play at Enstone. But I see an enclosed football pitch along the road not far from Chipping Norton Rugby Club. Can you say why the CN football club do not play there?